Nazdar SourceOne is the leading supplier of digital and graphic printing equipment to sign shops large and small. 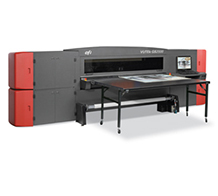 Modernize your graphic sign capabilities with incredible grand format digital printers like the EFI VUTEk GS3250 Hybrid UV Printer or M&R's flagship Renegade LS Flatbed Graphic Screen press. 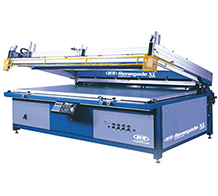 Printers can find a wide variety of curing, printing, finishing and testing equipment for their digital and traditional screen printing equipment. Questions or problems with your digital equipment? Contact Nazdar SourceOne’s Digital Technical Services group.